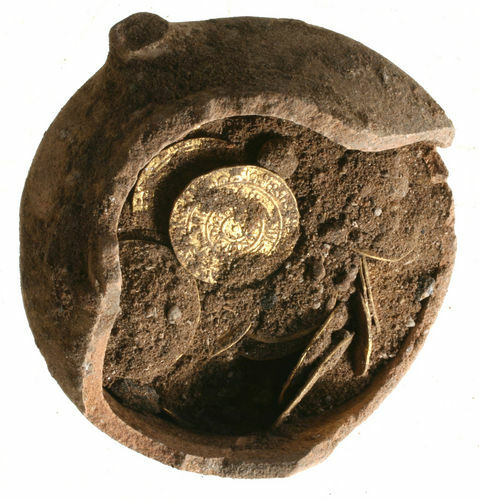 Gold coins discovered last month in an ancient crusader castle that lies in what is now Israel provide surprising information on how economic transactions were made about 1,000 years ago. “The scientific value is unprecedented,” Oren Tal, director of the excavation and chairman of Tel Aviv University’s Department of Archaeology and Ancient Near Eastern Cultures, said in an e-mailed statement. Crusaders “were not afraid to use older coins to complete large transactions and run large- scale businesses,” he added. 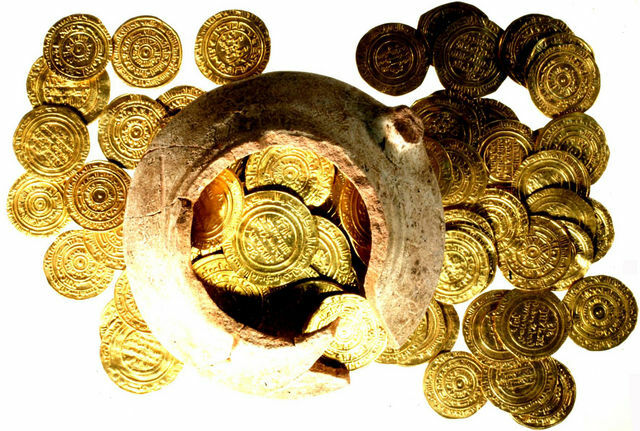 The hoard, which contains mostly dinars dating back to the Fatimid Period that predated the crusaders, was discovered in an excavation of the Arsur castle, also known as Apollonia. The site was a stronghold between the ancient ports of Jaffa and Caesarea and served as a trading center for industrial and agricultural goods from 1241 until its destruction in 1265, when it was attacked by Egyptian Sultan Baybars and conquered after a 40-day siege. The crusaders’ use of older coins minted by Egyptians in the 10th and 11th centuries is surprising, given the importance societies placed at the time on making their own coins for economic, marketing and public-relations value, Tal said. The discovery shows that crusaders, who in Europe used thin, partially silver coins, chose to quickly adapt to the currency of the Middle East, said Robert Kool, curator of coins at the Israel Antiquities Authority. The actual value of the coins, which bear blessings and the names of sultans, can be extrapolated from a document found in the Cairo Genizah collection of Jewish texts that suggests that two gold dinars, the face value on the 108 coins found, can provide sufficiently for an extended family for one month. “This isn’t a piggy bank with insignificant coins, but quite a lot of gold,” said Haim Gitler, curator of the Israel Museum exhibition “White Gold: Revealing the World’s Earliest Coins,” which runs through March 30, 2013. Muse highlights include Warwick Thompson on theater.